Who are you using to fix your commercial appliances in Long Beach? Do they respond right away to repair your commercial appliances? If not, you are not getting the service you deserve. We offer extremely fast and effective results for repair issues. Our company kn ows you depend on your appliances. Your needs are important to us. Get the best service for your business. Call Appliance Repair Long Beach CA for all repair needs. We are pleased to provide reliable commercial appliance repair. We take care of our customers in the business community. 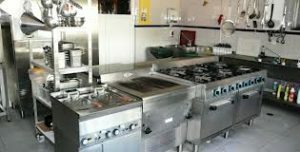 You cannot operate your restaurant without working stoves, freezers, and ovens. Every moment these units are down costs you money. We respond in a hurry to get your unit up and running again. Our trucks are stocked efficiently with a wide range of quality spare parts. We respond prepared to fix your appliance quickly and efficiently. Our experts are certified to service all major commercial kitchen appliances. Our oven repair specialists work on all brands, makes, and models. We have the ability to find problems fast and correct them even faster. Many businesses rely on a variety of stoves. We administer top notch stove repair service. Our techs will fix electric and gas appliances. Are you having problems with your fridge or freezer? Our experts offer outstanding fridge and freezer repair. You can call us with confidence. We promise to provide the fastest service possible. We offer quality commercial appliance service. Our specialists are trained and skilled. We will fix all major appliances in the commercial kitchen. Our techs are honest and upfront with you at all times. We tell you exactly what we can do and how much it will cost to do it. Make the right decision for your business. Call us for outstanding repair service on your Long Beach commercial appliances.